Creating this timeline started as just another blog post, a way to help anyone visiting this site to navigate thru the mish-mash of intersecting stories. But, as I was organizing it, I realized it was something much more introspective. It became a way to help me make sense of my deeply personal and confusing issues. For your benefit, this post is awash in links. 1962 - The year of my birth. This becomes relevant starting in the fall of ’08 as I meet people my own age with similar histories. The late 1960’s - This is when I had that emotional reaction to the scary face at the end of the STAR TREK during the credits. The early 1970’s - I had a LOT of bloody noses during my youth, especially between about the ages of 8 on thru to about 14. I clearly remember one morning, when I was about 11, waking up with my pillow soaked with a ridiculous amount of blood. I thought to my self, how did I sleep through this and not wake up? 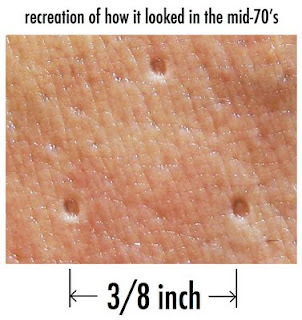 I remember this was common for me. 1974 - I saw a “coffee can” shaped object with my friend Kenny. I don't know the exact date, but I feel pretty certain it was in '74. 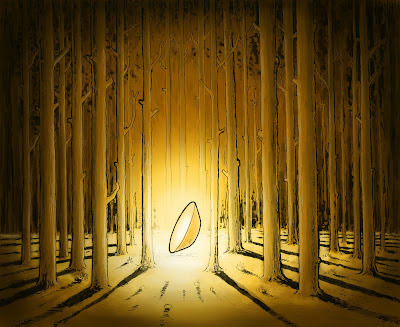 Autumn 1974 - The orange flash and missing time event in my neighborhood. This experience is the crux of the overall mystery. There are spider webs connected to this event that seem to connect everywhere. Mid-70’s - I read FLYING SAUCERS SERIOUS BUSINESS by Frank Edwards, the first “big” book I read from beginning to end (the second was JAWS). 1981 - I moved from a suburb in Michigan to New York City. I was 19 years old, and it was a tremendously exciting time in my life. 1986 - I spend a winter in Jackson Hole Wyoming as a ski bum. This will deeply influence my life path. I spend the few years moving back and forth between the Rockies and NYC. 1987 - I see Whitley Strieber’s book COMMUNION. My response was curiosity (and a lot of skepticism). My initial reaction to the face on the cover was “that’s not quite right.” I don't actually read the book until around 1992. 1991 (approx.) 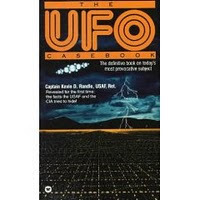 - I picked up a trade paperback titled UFO CASEBOOK by Kevin D. Randle. I’ve long since lost this book, but it started me on a compulsive reading frenzy on the subject. Something that continues to this day. 1992 thru 1999 - In December of 1992 I was diagnosed with severe clinical depression. I spent the next 7 years on anti-depressant medications. I used these years to do a lot hard work and deep self-examination. The metaphor of death and re-birth is entirely appropriate. I feel I emerged at the other end a much healthier person. 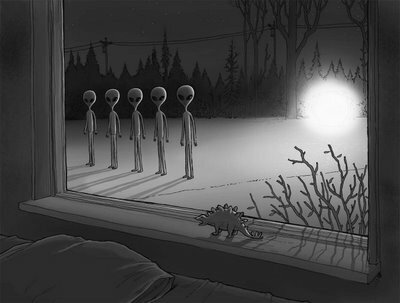 Jan or Feb 1993 - I wake up in the middle of the night to see five figures out my bedroom window. The experience is dreamlike and easily dismissed. I drew a image as an attempt to make sense of the memory, and that unleashed even more questions. Nov 1993 - I move out West permanently. I settle in a small town in rural Idaho. March 1994 - I had an unknown ailment that ended with a big hunk of my large intestine getting removed. This was a hard physical set back, followed by a few years of deeply challenging real-deal emotional issues. Mid to late 90’s - I’m drawn to decidedly new-age topics. As well as the UFO topic, I’m reading about modern physics, religious studies and channeled books. 2002 - I visit a crop circle in the nearby town of Teton Idaho. 2002 thru 2006 - Somewhere in the first few years of this century I get obsessed with doing a documentary on the subject of UFO abductions. When I subscribe to NetFlix I begin watching documentaries on UFO’s and most of ‘em are lousy. Sept 2006 - I have the multiple owl experience (twice) with Kristy in the Tetons. The owl weirdness begins. Winter 2006 / 2007 - I have a very vivid dream that relates to the documentary. Because of the intense metaphoric imagery in this dream, I say yes to truly looking into my memories, and I decide to use my real name. August 2007 - The production begins on the documentary, and myself and a small team start to shoot video footage. Nov 2007 - I go to my first UFO conference in Las Vegas. After this I attend more than a few conferences. And then I go to a bunch more, and I find that these venues to be very helpful. Oct 2007 - I meet with Budd Hopkins, and I share a story that he describes as Confirmation Anxiety. I created a long essay to attempt to describe the confusing emotions. Feb 2008 - I attend the UFO congress in Laughlin Nevada and meet Natascha. Spring 2008 - Somewhere in here the documentary seems to stall out. Everyone involved still believes in the project (including me), but there is no longer any momentum. Oct 2008 - I meed David Biedny at the CULTURE OF CONTACT conference in New Jersey. Nov 16th 2008 - I take part in a one hour audio interview on THE PARACAST. 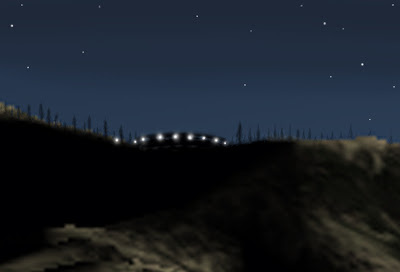 Feb 2009 - I attend the Laughlin UFO conference. I am in a place of deep anxiety and soul searching. This is not a peaceful time for me. I meet Miriam Delicado, and she encouraged me to speak out more. March 3rd 2009 - Upon returning from the Laughlin conference, I start this blog. Initially, the stories that I post are simple coincidences (like this). I was scared to share the stories with UFO implications. March 13th 2009 - Late at night I was preparing to post my missing time experience from 1974, but I was frightened by the implications of sharing a story that would imply some sort of abduction. At that moment, I received an email from a childhood friend, Cindy. This is relevant to the story, and the synchronistic timing was mind-boggling. I cannot overstate the intense implications of this event, it pushed me (metaphorically) off the cliff. The adorable image to the left is Cindy in Kindergarten. Winter & early spring 2009 - My life during these months was extremely difficult and emotional. This basically parallels the genesis of this blog. I am not sure why I was so compelled to share so much in this very public forum. My anxiety isn't hidden, it's obvious in a lot of the posts in this turbulent time. July 29th 2009 - I have a very intense synchronicity where another person associated with the missing time event from 1974 reappears in my life. Again, the timing is simply too exact to dismiss. Summer 2009 - I saw a LOT of owls. 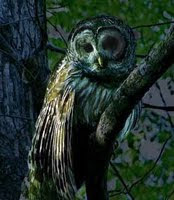 The overwhelming volume of owl sightings is extremely strange, it goes way beyond simple coincidence. I get the sense that they are trying to get me to wake up. Starting in 2009 - I see the numbers 1-2-3-4-5, this shows up as a series of ongoing synchronicities. This ends up getting sort of ridiculous. 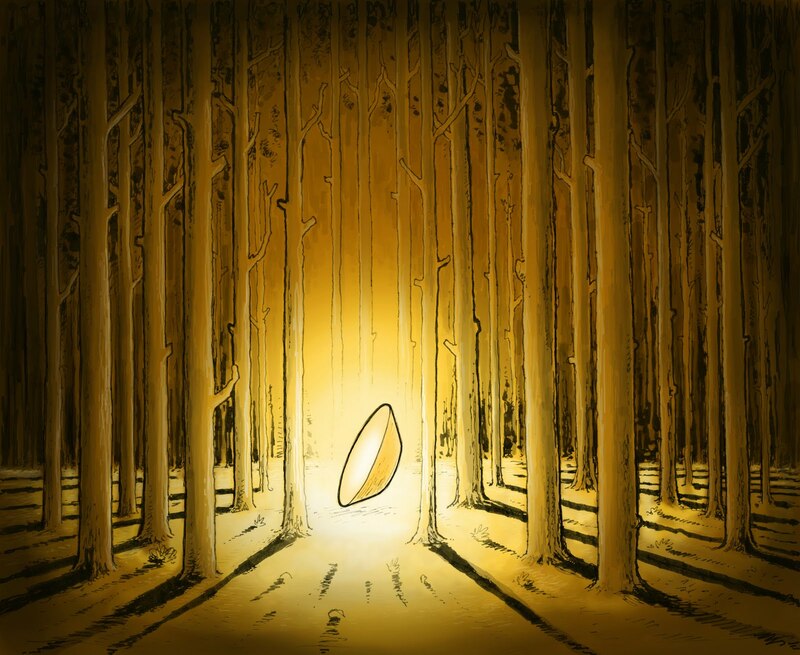 Autumn of 2009 - Synchronicities seem to intensify. I’ve been slowly and constantly shedding my doubts about the reality of my experiences. Some of these heavy-handed coincidences (like this!) are so profound that I can no longer deny that something very real is happening. The month of October was a frenetic descent into synchro-overload! Oct. 20th 2009 - Mac Tonnies dies peacefully in his apartment in Kansas City. The world loses one of it's great thinkers, and I lose a friend I never met. Halloween 2009 - I have a 6-hour phone call with a woman named Anya, who channeled from her source during the call. This comes on the heels of a very intense month. My level of acceptance is changing. Awakening would be an appropriate way to describe this experience. Feb. 5th 2010 - I have a very vivid dream that foreshadows events in Laughlin Nevada. I record the dream and then I see a grapefruit sized blue orb floating in my bedroom. Natascha and I spend 10 days together after not seeing each other for 2 years. March 2010 - I get another dose of synchro-weirdness when I start putting lines on a map after seeing photos of owls in Missouri. Illustrated recreation of an extremely vivid memory. The sense of floating was very real. 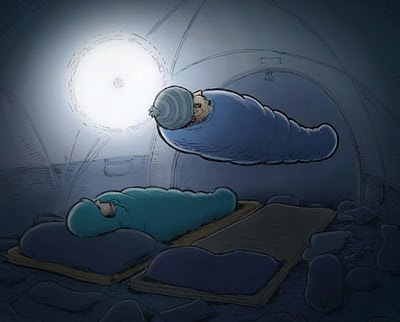 May 2010 - Myself, along with my friend Natascha, experience something profoundly distressing late at night in a tent. For me, this has been my only experience of profound fear. The events also yielded a curious scratch, and a follow-up sweat-lodge with a Navajo shaman. 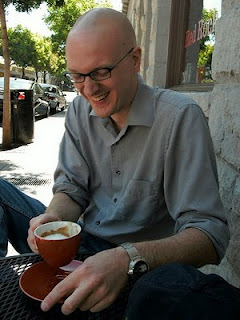 June 2011 - There is a post with a photo of a small truangular scar on my forearm. I don't know what it is or where it came from. I remember it clearly as a boy in the mid-70's. This one post has generated a LOT of hits because people are trying to find answers about their own odd scars. Sept 2011 - I talk with and share stories with the author and researcher Sesh Heri. This exchange was life affirming in a way that I found perfectly delightful. Feb 2012 - There is an extra label on posts where I share DIRECT EXPERIENCES. These are real-deal incidents that are relevant to the overall "involvement" with this elusive phenomenon. These experiences seem to imply something. March 10th, 2013 - I experienced something very strange while sleeping under the stars in southern Utah. This culminated in two posts on the same day. The first is a rather dry report of my memories and impressions (linked HERE). The second post is far stranger, it shows three events all lined up on a map (linked HERE). The urge to create the map came from a very real psychic knowing that I have only occasionally. 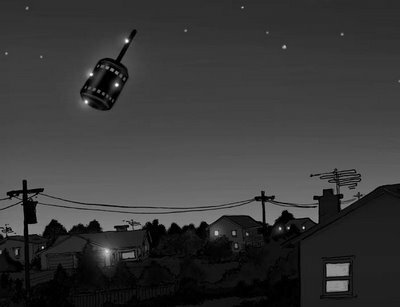 This knowing is always connected to the reality of UFO events in my life. I hate the term alien abductee, so I avoided it. But, I'm pretty much saying the same thing. 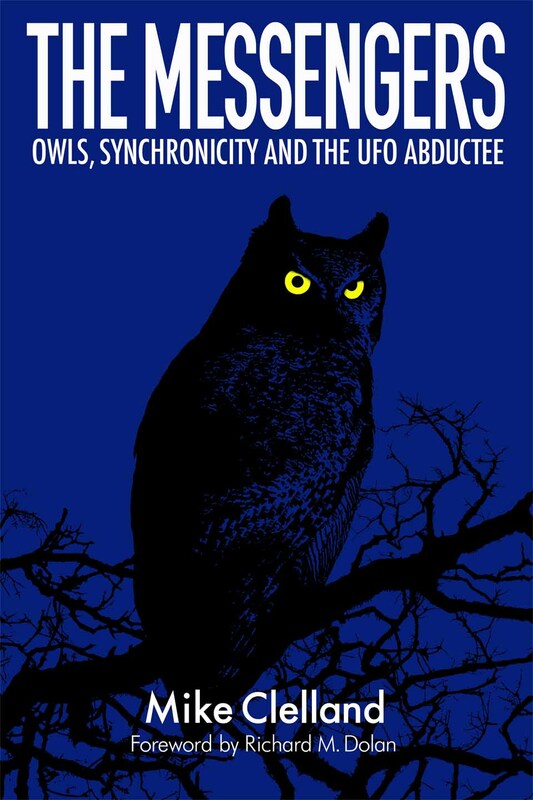 July 2013 - I've posted a long format essay titled Owls and the UFO Abductee. This is similar in tone (and conclusion) to a previous essay titled: Synchronicity and the UFO Abductee. Both these reports define my research as well as my personal journey. The are archived as PDF documents. Feb 2014 - I spoke on stage at UFO conference in Arizona. This was a HUGE deal for me, standing on stage and telling about my owl research and personal experiences. The talk was well received by the attendees. Short clip HERE. I would characterize very few UFO books as beautiful. But this one is. Dec 3rd 2015 - the big book of owls is published. The Messengers is part my owl research and part my own personal experiences. Feb 17th 2018 - the companion to the first owl book is published. Stories from The Messengers is a collection of 19 stories. 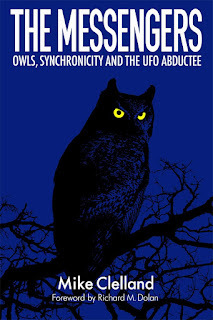 Each are examples of the complexities of the owl and UFO experience. July 2nd 2018 - the audio book of Stories from The Messengers is published. Read by the author—me. Good timeline. It allows everyone to know a bit more about you. Thanks for adding this timeline. I've just recently started reading your blog since we met at the Stargate Conference, and it helps with understanding how things fit together. I've enjoyed reading your stories, and your reflections are encouraging me to keep better track of the synchronicities that happen in my life too. "The Magician","The Incredible Hulk","The Planet of the Apes","Space 1999",as well as the regular comedy type shows and "Happy Days",etc. If I had to pick favourites,it would be "Kung Fu" and "The Life and Times of Grizzly Adams" and "Chariots of the Gods",(every time that movie was screened,I was mesmerized by it). "COMMUNION. My response was curiosity (and a lot of skepticism). My initial reaction to the face on the cover was “that’s not quite right." And I didn't know at the time if Whitley was just cashing in on the UFO phenomena,because he had run out of stories like "The Hunger" and "Wolfen",or whether he was serious,or just deluded,or a victim of MK-ULTRA. (To this day,I still don't,but I would say he's probably not making it up,since he has hung on thus far). The last book I read of his was the sequel,I think it was called "Transformation",and at that point he lost me. I saw the movie "Communion" when it came out,and only liked bits and pieces of it.Overall,I didn't like it at all. I have a copy of "The Grays"
(I bought it about 2 years ago,just to see why some movie studio would pay $3 000 000 for the rights,before he had even written the book),but it just lies on the shelf unread at this point. Another reason I bought that book,was because about a year before,I had an idea for a fictitious movie-script about alienation in society and alien abduction,which would comment on both forms of alienation,but would be different to any Hollywood movie that had ever been released,but would still have an edge to it,to keep the audience interested.I was going to call it "Alienated" as it would address both kinds of alienation in the film. But like your doco,I shelved the idea once I read about Hollywood politics and how independent scriptwriters get ripped off all the time.Maybe later...or maybe someone else can run with that idea...I've kind of lost heart with it anyway and don't have the resources and enthusiasm I once had to do it.I did get a great education though while researching material for it,which lead me into a lot of other places,which opened my eyes,but oddly enough alienated me even further from friends and family. Hey Mike - I like your honesty and your ability to tie all the threads together. Trust your own instincts ! You seem to be one of those people who recognizes the importance of the unknowable mystery and yet you need to understand some kind of framework for what is happening. Keep pushing the envelope my friend ! Thank you for taking time and effort in helping try to share the truth. I feel it unfortunate and almost to the point of evil that the ones whom we are trained to "think" have authority or should be respected, are actually the ones that help keep the wall of lies standing. Humans are running and have been going in circles for a very long time. Most have yet to break-free so they can step back and get a clear perspective. Lies cost billions of dollars..while the truth is free.